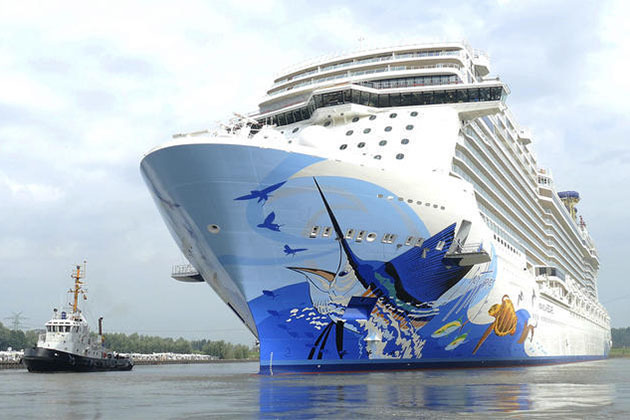 Norwegian Escape is the first in Norwegian Cruise Line's Breakaway Plus Class of ships; it has one more deck than the line's Breakaway Class, plus a number of new features including dining, drinking and entertainment options. At 4,200 passengers, it is Norwegian's biggest ship (and the third largest in the world), with 20 decks, 28 dining venues and almost as many places to drink. 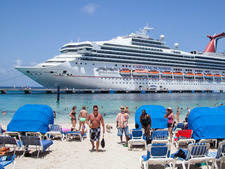 Cruise Critic was onboard for two days and nights while the ship made a stop in Southampton, U.K., before heading out across the Atlantic to its permanent homeport of Miami. Here's what we liked most — and least — about the ship. Norwegian has made the brave — and we'd say overdue — decision to ban smoking from the casino until the next revenue cruise starts, which is after the inaugural celebrations are over on November 9. In the meantime, the line is building a dedicated space within the casino, enclosed, ventilated and with gaming machines, for smokers. We salute the line for recognizing that smoke escaping from the casino on Norwegian Breakaway and Getaway has been an ongoing problem, and for tackling it this way, rather than banning it outright. The influence of Norwegian's two high-end sister brands and Norwegian Cruise Line Holdings' CEO Frank Del Rio is evident on Escape. Both Regent Seven Seas Cruises and Oceania are known for outstanding cuisine, and it's this quality that Norwegian has used to take its food offering on Escape up a notch or two. Menus in all restaurants have been replaced, plus the line has borrowed chefs and cooks from its sister brands to work in Escape's kitchens. 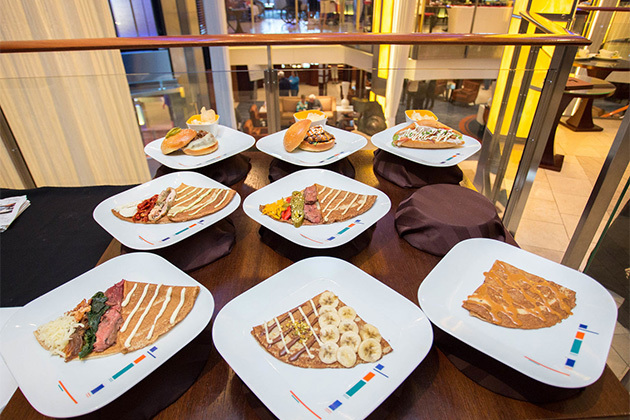 The outstanding addition to the line's restaurant offerings is Food Republic, from the Miami-based Pubbelly Group (see below), but the new emphasis on quality dining can also be tasted in the main dining rooms of Taste, Savor and The Manhattan Room. Food Republic is the umbrella name given to an amalgam of restaurants onboard Norwegian Escape created by the Pubbelly Group. Forget the fact you can order your food via iPads on your tables, the big wow is the food itself, which is absolutely outstanding. Food Republic offers small plates — tapas-style — with a strong emphasis on Asian cuisine; think Korean spicy chicken wings, teriyaki chicken, wagyu beef short rib and a wide selection of sushi and rolls. Prices start at $4. Food comes out fast and furious, moments after you place your order. It's well designed, well thought out and a fantastic addition to Norwegian's eateries. Norwegian has a good sense of what works and what doesn't when it comes the shows it puts on (Blue Man Group, Rock of Ages), and Million Dollar Quartet is no exception. A dramatization of a single night (December 4, 1955) in the Sun recording studios when Elvis, Jerry Lee, Carl Perkins and Johnny Cash were brought together for an impromptu jam, it includes a number of their hits (I Walk the Line, Great Balls of Fire, among others), as well as the banter which took place between them. Though we were told two of the actors came straight from Broadway, we had no idea which ones as all were superb. Norwegian has another sure-fire hit on its hands. The Ice Bar (which can be found on Norwegian Epic, Breakaway and Getaway) is gone! Rejoice. We never did understand why people wanted to don enormous anoraks and snow boots to go into a freezing, overpriced Vodka bar. 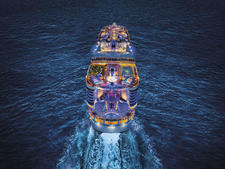 And there will no longer be lines of people blocking the top of the stairway on Deck 8 trying on their winter clothes. The best drinking venue onboard — by a country mile — is District Brewery, which boasts 74 different beers: 24 on draught and 50 by the bottle, from all over the world. Featuring an industrial-style decor — it's all steel and stone — District Brew House has a large bar, high tables and chairs in the center, and some big comfy chairs and sofas against the windows. It also has a keyboard piano at one end with a small area for dancing; a variety of pianists ply their trade here nightly. It quickly became the place to go after dinner, and is also where members of the entertainment team — including 'Jerry Lee Lewis' — go for an after-show jam. Oh, and we loved the Photo Booth, where you can get your picture taken and then hang it on the wall. We're not sure what the thought process was behind moving the kids club down to Deck 5 (on other Norwegian Cruise Line ships, the kids club is always on an upper deck), enclosing it in a space with no windows and no adjoining outdoor space. It's a bizarre and confusing decision considering the Breakaway class of ships is supposed to be about 'reconnecting with the ocean' through outside spaces. It's a huge space, and has been well thought out apart from that, but we believe it would be much better situated on a higher deck. A new ship takes time to break in, we absolutely concede this, and a shakedown cruise — when the line is still trialing processes and procedures — is not a true arbiter of a cruise experience. However, there is no excuse for rudeness or indifference, which we encountered in a number of different bars, restaurants and even from our cabin attendant. It costs nothing to smile, but many crew seemed too busy to do that. It's hard to put a finger on exactly, but there seemed to be an air of dissatisfaction on Escape from the crew.